In the year of what would have been Jackie Robinson’s 100th birthday, Major League Baseball marks Jackie Robinson Day April 15. As baseball celebrates what would have been Jackie Robinson’s 100th birthday, what more can be done to increase African-American participation in the game? 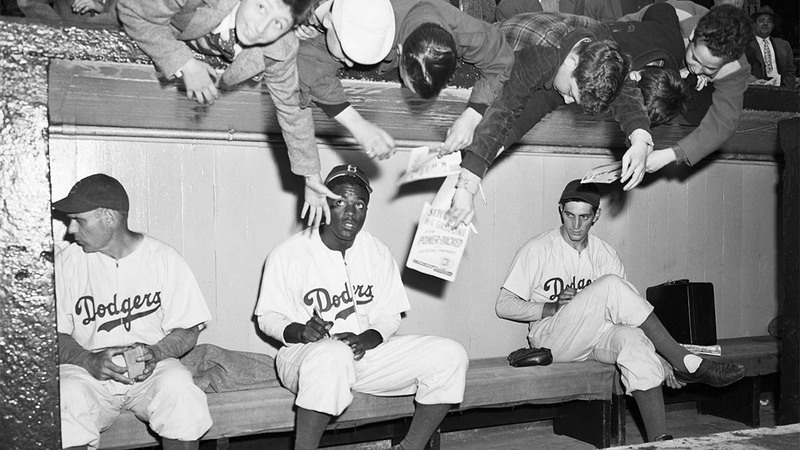 On April 15, 1947, Robinson made his MLB debut — the first African American in the major leagues — with the Brooklyn Dodgers at Ebbets Field. 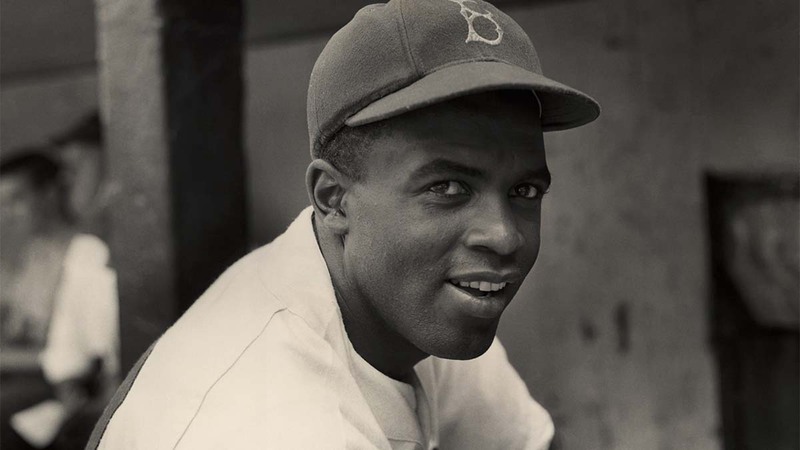 While Robinson paved the way in the ’40s, about 8.4 percent of today’s players are African American. On opening day 2019, MLB reported 28.5 percent, or 251 players, of those on a major league roster were internationally born, including 11.6 percent (102 players) from the Dominican Republic. Seven of those 251 players are from Australia and Canada. According to figures published by the Society of American Baseball Research (SABR), African American involvement in MLB reached its zenith of 18.7 percent in 1981 and has been in decline since. “I’m a great proponent of baseball history,” said Arizona’s Adam Jones, one of the highest profile black players with the team after spending 11 seasons with the Baltimore Orioles. “This game has taught us what’s happened in the past can help predict the future. MLB has spent $2 billion dollars over 20 years on diversity and inner city programs in an attempt to draw African American back to the game, said Renee Tirado, the chief diversity officer for MLB, MLB Advanced Media, MLB Network and the liaison with the 30 teams. The one thing the league hasn’t done is enlist help from its dwindling group of star black players such as Jones, Mookie Betts of the Boston Red Sox, Justin Upton of the Los Angeles Angels and Andrew McCutchen of the Philadelphia Phillies. According to Jones, a San Diego native, no one from the commissioner’s office has reached out to him. For years, MLB has invested in programs such as RBI (Reviving Baseball In Inner Cities); the Baseball Youth Academies – beginning in Compton, Calif., just south of downtown Los Angeles and home to such seminal Major Leaguers as Darryl Strawberry and Eric Davis; the Play Ball Initiative; and the Boys & Girls Clubs of America. Former commissioner Bud Selig called himself a social liberal and a fiscal conservative. And he practiced what he preached. Most of the above mentioned programs were launched during Selig’s watch. In addition, MLB established the Civil Rights Game, with the aim of honoring the history of African American players as well as generate interest for future black players. The game had a nine-year run from 2007 to 2015, ending with a game on the 68th anniversary of Robinson’s debut at Dodger Stadium. Selig was responsible for establishing the annual Robinson event, retiring his famous No. 42 forever throughout baseball in 1997, the 50th anniversary of Robinson’s first game. Ken Griffey Jr. ultimately petitioned Selig to wear No. 42 in honor of Robinson during his anniversary game only. Selig initially gave Griffey permission. Today, every player wears it throughout the league on Jackie Robinson Day. As Jones said, “you have to respect those guys.” And Griffey, the Hall of Famer and son of former player Ken Griffey Sr., started a movement of his own by showing that respect. Meanwhile, under the guidance of Robinson’s widow, Rachel Robinson, and her daughter, Sharon, The JR Foundation has raised $85 million over the years to help 1,500 African American youngsters earn degrees at one of 260 colleges and universities. MLB donates $1 million a year to support those scholarships. Jones was one of the players who also donated, underwriting a four-year scholarship that could cost as much as $30,000 per student. The RBI and Play Ball Initiative programs have made baseball available to minority kids across the U.S. And baseball now has expanded its Youth Academies to eight since Compton was created in 2006. How effective have those academies been? Heading into the 2019 amateur draft in June, more than 500 mostly minority athletes have come through those programs to play college baseball or softball, and more than 160 have been drafted by MLB clubs. That list includes Aaron Hicks, Dillon Tate, Dominic Smith and Kris Davis, the Oakland A’s designated hitter who is one of the most prolific young sluggers in the game. With the recent death of Frank Robinson, the Hall of Fame player who became the majors’ first African American manager with the Cleveland Indians in 1975, there’s a renewed focus on how to elevate blacks into management positions. Currently, the 30 big-league teams feature only four managers of color and one who’s at least partially African American: Dave Martinez of the Washington Nationals, born in New York of Puerto Rican heritage; Alex Cora of the Boston Red Sox, who was born and raised in Puerto Rico; Rick Renteria of the Chicago White Sox, a Mexican American who was born in California; and Dave Roberts, born to a Japanese mother and African American father in Japan. Roberts is the first minority manager of the Los Angeles Dodgers, the team of Jackie Robinson’s heritage. Recent black managers such as Dusty Baker, Bo Porter and Ron Washington have come and gone. As far as front offices are concerned, Kenny Williams, the long-time general manager of the Chicago White Sox and now an executive vice president, is the highest ranking African American executive below the ownership level. There has never been an African American principal owner. Arte Moreno of the Los Angeles Angels is the only owner of Mexican American descent in baseball history. Derek Jeter, whose father is African American, is a minority owner and chief executive of the Miami Marlins. To rectify this in part, MLB has developed a pipeline program with the goal of opening avenues for minorities and women who want front office positions. Jones, for his part, said there’s no reason to criticize MLB for its apparent snail-like pace of progress at bringing minorities into all levels of the sport, particularly African Americans. There are reasons young black kids don’t want to play baseball. It’s expensive to play and fund equipment at the youth level. There’s a lack of baseball scholarships in college. And even top draft prospects are expected to spend years traversing a very challenging minor league system where the travel is hard, the pay is low and the financial resources are limited. Compare that to the National Football League and National Basketball Association, which use the colleges as a feeder system. Scholarships are abundant in both sports. And there’s a great chance for a player to leap directly from college to the top pro level. “I think everybody could do more; we all could do more,” Jones said. “I could do more. I could do more community work. I could do more with my kids. First of all, it’s comfort level. MLB has a lot on its plate. They are a doing a boatload of things, a boatload of missions. It’s phenomenal. Barry M. Bloom has been a baseball writer since 1976, and a National Baseball Hall of Fame voter since 1992. His sometimes award-winning national reports and columns appeared on MLB.com for the past 16 years, until recently. He’s now a contributing columnist for Forbes.com.